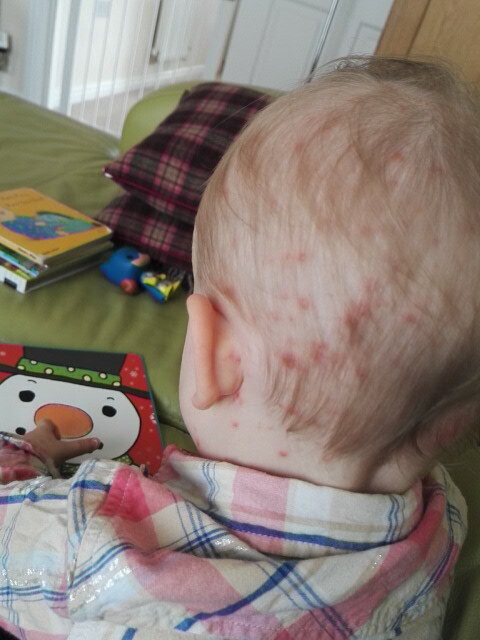 After her big sister got a fairly small dose of chickenpox, Rosalind got it bad. Poor monkey is covered. They're literally everywhere. Saturday night we had three hours sleep and I was working all day Sunday. Cant wait for these to pass. And just when I said I wanted April over, May throws this at us.